Lisa Hoppe Travel Consulting is a Certified Travel Specialist! Heading to the Sandals and Beaches Resorts STAR Awards! Wow, I am going to Sandals and Beaches Resorts STAR Awards for the 16th year in a row. I have been invited every year since its inception. It is such an honor to be recognized as one of their best travel agents in the world at this event. 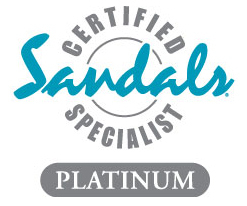 In 1996, Lisa Hoppe Travel Consulting achieved Sandals and Beaches Lifetime Platinum Member status. The award was only given to 75 agencies in the world! Lisa Hoppe Travel Consulting won the first Top Home Based Travel Agency Award that they gave out at the STAR Awards in 2003. In 2009, Sandals and Beaches developed the Preferred Sandals Agency program and we achieved this status with them that same year. I have won numerous Best of the Best awards with Sandals and Beaches and when The Hon. Gordon “Butch” Stewart, Chairman of Sandals Resorts, began his personal club, the Chairman’s Royal Club (CRC), a select group of partners were welcomed in – myself included. 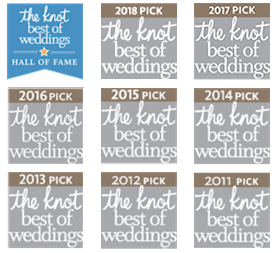 The sales excellence that these awards and honors exemplify is achieved because I have a commitment to the brands of Sandals and Beaches Resorts and they have a commitment to me by providing my clients and their guests with outstanding service. My VIP status allows my clients to receive the best service in the travel industry. I just returned from the Chairman’s Royal Club Retreat, held at Sandals Emerald Bay resort in Great Exuma, Bahamas. What an outstanding resort and what an honor to experience the “royal” treatments for which Sandals and Beaches are best known. I achieved my Advanced Open Water PADI dive certification at this resort 6 years ago and had a chance to dive again here during the retreat. Another outstanding event was a boat ride through the Exuma Islands, swimming with pigs, seeing the beach and island where a famous beer commercial was filmed, going past Johnny Depp’s Island (he’s got a drawbridge on it!) The Exumas are a boater’s paradise. I also had a chance to stay on Fowl Cay, a private island owned by Sandals. It’s a great place for a family reunion or intimate destination wedding. As a Certified Specialist for a Sandals and Beaches Preferred Agency, I am committed to helping you achieve the best travel experience in the Caribbean! Lisa Hoppe at Sandals STAR Awards 2013 – Adam Stewart, CEO of Sandals & Beaches Resorts, has his arm around her shoulders! Lisa Hoppe (in black & white chevron dress, center) at Sandals STAR Awards 2013 – Adam Stewart, CEO of Sandals & Beaches Resorts, has his arm around her shoulders! STAR Awards 2013 was held at the beautiful Beaches Resort in Turks & Caicos.